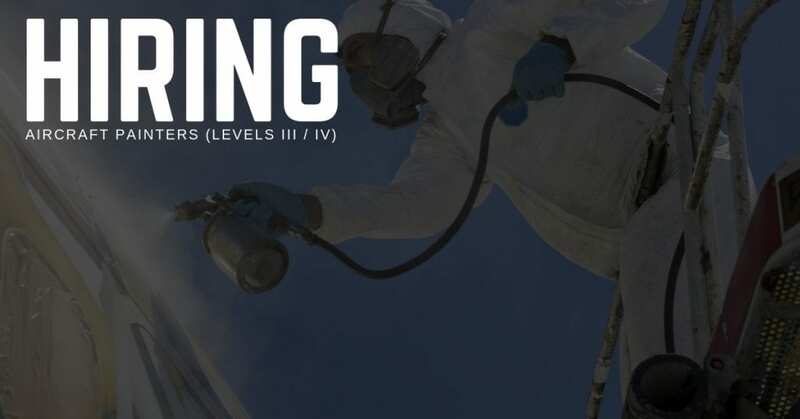 STS Technical Services now offers Aircraft Painter (Levels III / IV) jobs in Springfield, Illinois. The Aircraft Painter prepares aircraft surfaces for painting by cleaning, scraping, sanding and treating metal surfaces with chemicals such as alumiprep and alodine. Applies aerodynamic sealer, and masks the aircraft using tapes and paper products (to protect windows, seals, struts, cables, etc.) in preparation for the paint process. Mixes, blends and thins paint products, per the manufacturers’ maintenance manual specifications. Maintains painting supplies and equipment, including spray guns, air hoses, pumps, paper, and tape. Applies registration number, external markings, placards, emergency borders, wing walks, etc. within regulations and specifications. Familiar with and understands composite and problem areas on a variety of corporate aircraft. Documents all work accomplished (a.k.a. sign-off) in a clear, concise and accurate manner. Responsible for knowing, understanding, following, promoting and continuously improving company policies and procedures.